The luxurious FantaSea Yachts experience sells itself – that is, once it’s properly packaged and presented to the right people. Therein lies the challenge. Our primary focus was upgrading the website to generate an on-trend vibe – and more business – by integrating responsive design for a better mobile experience, creating eye-catching graphics to attract visitors, and composing marketing-oriented copy to improve lead capture. FantaSea Yachts is drawn to distinct beauty, effortless elegance, and streamlined service – and we swam the seven seas to ensure a smooth journey to all three. We launched an all-new responsive website that won a Communicator Award of Distinction, improved its search engine optimization, reinvented its digital advertising campaign, instituted pay-per-click ads, boosted its social media presence, and designed an engaging email newsletter to match its social media profiles for a complete branded look. 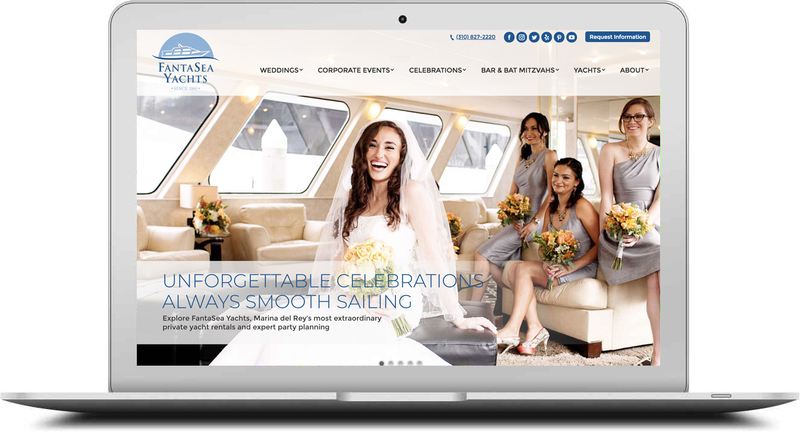 We’ve had a blast working with FantaSea Yachts – we’ve grown their presence on social media, optimized their website for search, reworked their digital advertising campaign, and launched an all new website that won a Communicator Award of Distinction!